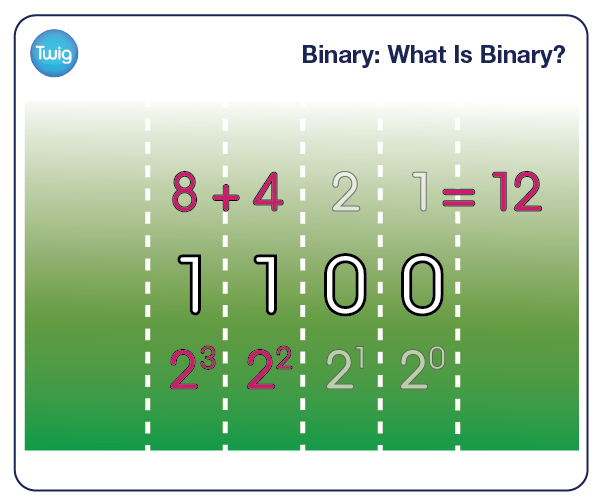 Learn how the binary base system works, and how to symbolise any number using just two digits. We are all familiar with the decimal system. But there is another number system we encounter every day, without realising it! Employed in electronics, it uses only two numbers, 1 and 0, which can easily be represented in digital signals as on or off. Relates to units, tens, hundreds. But how is it possible to represent huge numbers with just these two digits? Due to our familiarity with the decimal system, we may read this number as one thousand, one hundred. As we look at the columns of units, tens, hundreds and thousands – which are powers of ten. But in binary these columns represent powers of two instead. 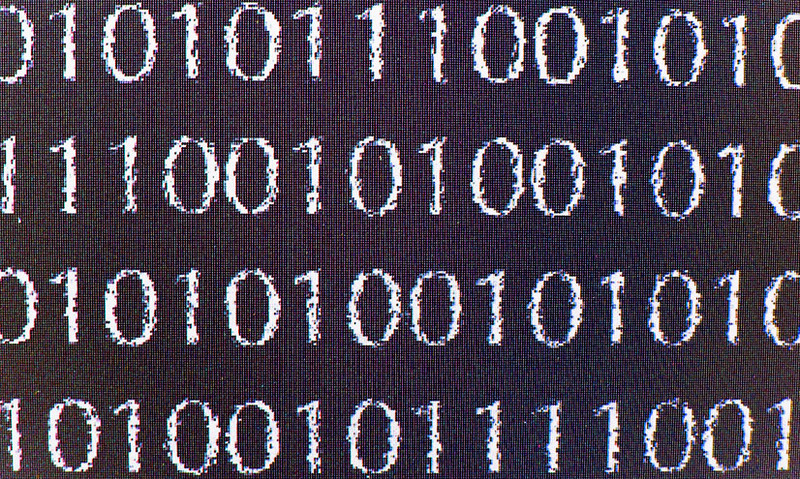 Meaning that 1100 in binary actually represents the number twelve. A good way to get to grips with binary is by using your hands, where each finger represents a column. If you hold up more than one finger, the values are added together to create a total. To write the number in binary code, each finger held up represents a one. And each one left down represents a zero. So ten in binary is 01010. On one hand you can count up to thirty-one. But with two hands you can continue the process and count to over one thousand! Like the numbers of the decimal system, binary numbers can be added, subtracted, multiplied and divided. But binary is not just limited to numbers, a universal system is in place which can convert computer instructions and even words into binary. Making it the most diverse and flexible mathematic language that we use today!